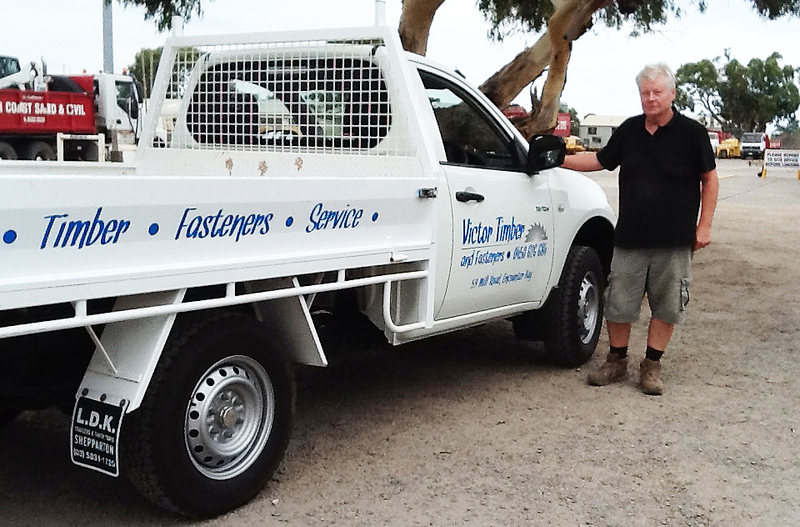 Victor Timber and Fasteners are your timber and fastener specialists servicing the Fleurieu Peninsula. Conveniently situated in Mill Road at Encounter Bay we stock a wide range of hardwood and softwood timbers and all types of fasteners for timber including nails, screws, bolts, nuts and washers. As a member of the Hardware & Building Traders group they can also offer you competitive prices and a growing range of quality products that can rival “the big boys of hardware”. Victor Timber and Fasteners are proud of our personal service. Customers deal directly with the owner. Rodney will not only answer your queries but also cut the timber to size for you and even deliver it for you if required. And Rodney loves to help out with advice on the right materials and ways to tackle those interesting, special and unusual projects no matter how large or small they may be. Installation of a wide range of timber products such as steps, decks, gates, doors and lattice screens can also be arranged. Fasteners – Just about every nail, screw, nut, bolt and washer is in stock to complete your building job as well as a range of masonry fasteners. Open 5 days – Victor Timber and Fasteners offers plenty of convenient off-street parking and is open five days a week – Monday to Friday 8.30am until 4.30pm. Delivery available – Delivery of timber lengths up to 6 metres can be arranged at very reasonable prices. 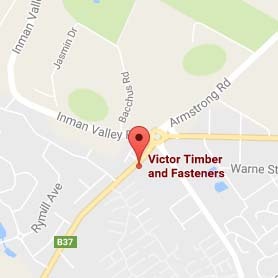 Contact – To find out if Victor Timber and Fasteners can help you phone Rodney on 0450 656 684 or call in at 59 Mill Road, Encounter Bay (just near the big roundabout).